These classes help develop real world strength with carryover that can be applied to everything from athletics to everyday life. Focused on directly targeting ones weak links and making them incredibly strong. We start by making sure we have integrity within seven movement patterns that build the foundation for more complex patterns. We then look at the four components of athleticism for greater performance capability, whether hobby, sport, or lifestyle. Literally meaning Beautiful Strength, this Calisthenics based class will provide one with all of the necessary steps and tools to gain an elite level of control over ones body using bodyweight exercises in a progressional manner. Outside of just a purely physical routine, this modality will also greatly challenge and strengthen the mind as well as the spirit of the individual partaking in this form of training. Flexibility (Flex-Ability) When we look at flexibility as the ability to flex, we may just find that both muscular and neurological strength play a huge role in ones ability to fully relax as well as fully contract. These classes are focused on full body flexibility through postures and sequences that allow us to integrate a greater range of motion with the strength to control it, maintain it, and use it. Find the balance of mobility and stability for a deeper connection. Connect back to your primal pattern and learn to flow once again. 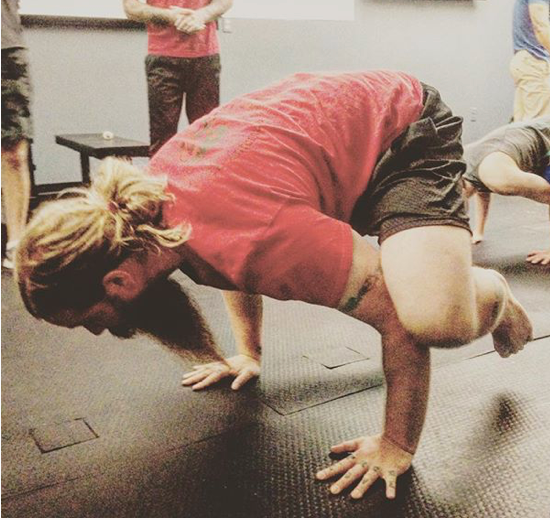 Primal Flow challenges coordination, balance, strength, flexibility & endurance. All movements are performed through a seamless sequence in tandem with ones breath. Based heavily in the tradition of the ancient art of combat, these classes teach very specific aspects of strength, conditioning, application of techniques, and more. Iron Mantis Martial Arts is a complete martial system heavily based in Seven-Star Praying Mantis Kung Fu, along with Hawaiian Kempo, and Brazilian Jiu-Jitsu. There are also aspects of Tai-Chi, Qigong, and Sports Performance Training. The Iron Mantis system goes from white belt all the way up to 10th Degree Black Belt. Largely practiced for its health benefits, yet very much a martial art. Learn the fine details that yield several benefits of both by smoothly connecting precise movements and structure along with breath and timing. 3dx is a system of training the brain through mindful physical movement and breath while creating a fuller overall awareness. This portion of our movement based system sets a focus on restoring healthy ranges of motion, a proper tension relaxation ratio between muscle groups, and getting the most out of your training at any level. We focus highly on the nervous system in these classes to literally create a stronger mind-body connection. Dive deeper into the neurology of each bodily system, their connection, and the role each plays in creating strong healthy movement. Heavily influenced by the arts of the Old Time Strongman, these classes teach the conditioning necessary for building up to many respectable feats of strength. Not for the faint of heart or timid. Be prepared to build up a sweat! If the kids are our future, it's time to start making sure that they are growing healthy and strong! Our 3dx Kids program is designed to get them moving, balanced, confident, and strong. We focus on bringing about fuller awareness to the mind, the body, and the spirit by giving them the tools to move forward stronger and stronger. These classes have aspects of nervous system programming, strength training, athletic conditioning, and a blend of martial arts.